Configuration of products is not ideal on small devices. Please use a tablet or desktop device if you would like to configure this product. You can choose to view the full site and use the product configurator on this device by clicking here. Configure the options for this product by clicking on the options at the left of the product image. Options marked with * are required. Options marked with will show your selections visually on the product image. Colors are representations, please refer to an actual sample. 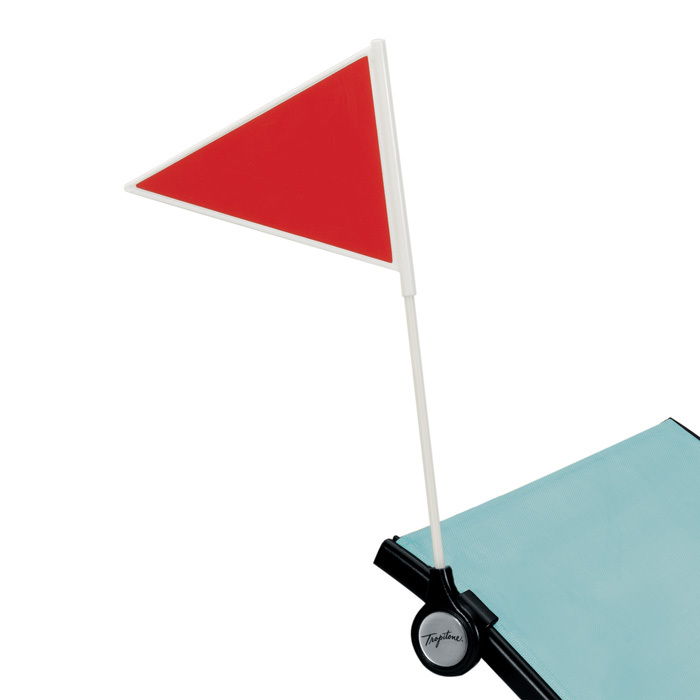 Complete your fleet of Tropitone Chaise Lounges with the addition of the Tropitone Drink Service Flag. An opportunity for branding with your custom logo art, each flag is made using durable 3M™ Scotchcal™ Graphics Film Series 50. Flags are available in an assortment of striking colors that are sure to catch servers' attention. Fabrics are offered in a variety of grades. Each grade represents a cost effective selection. "A" grade being lowest cost, each subsequent grade represents a higher cost. When selecting optional accessories please note that an upcharge will be added to the total price of the umbrella. You will be able to preview this price prior to adding to your cart. Options marked with * are required. Options marked with will show your selections visually on the product image.